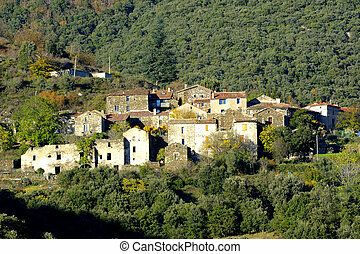 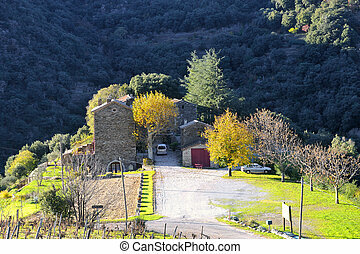 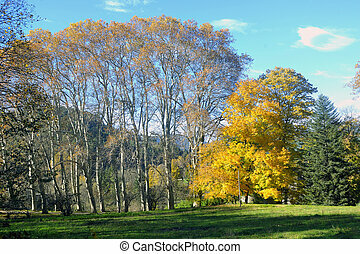 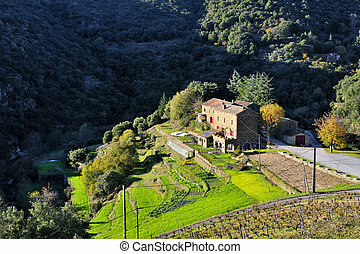 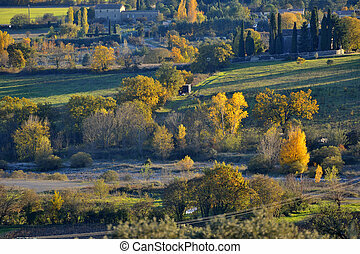 landscape of French autumn in the area of the Cevennes and the department of Gard. 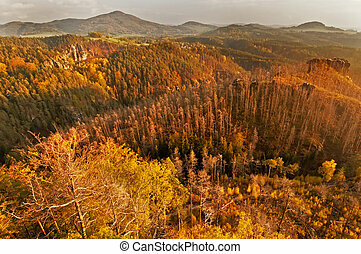 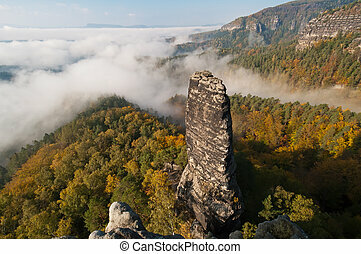 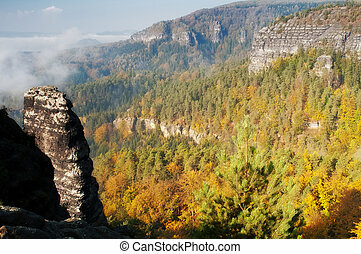 View of a beautiful autumn landscape in Czech-Saxony Switzerland. 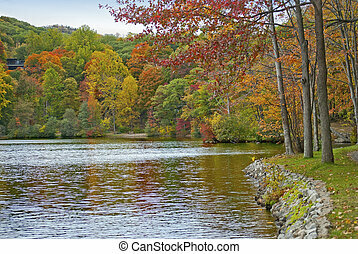 An Autumn view of Hessian Lake in Bear Mountain State Park in New York. 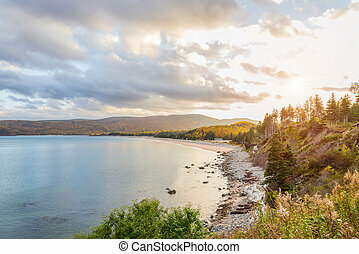 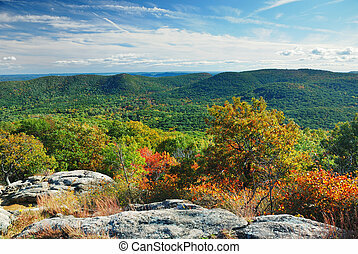 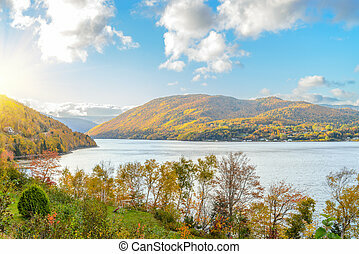 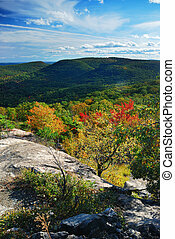 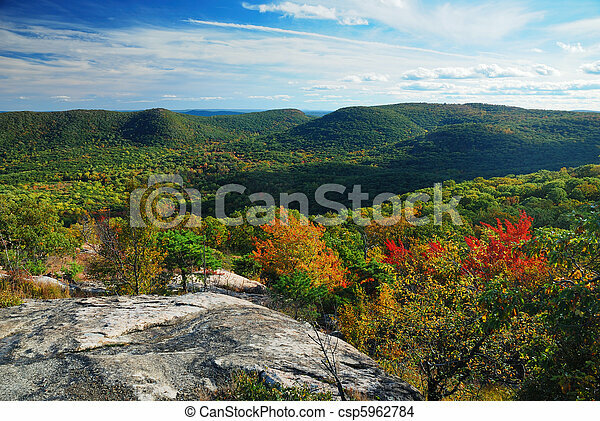 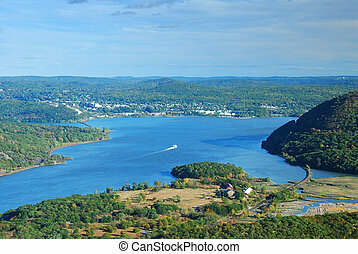 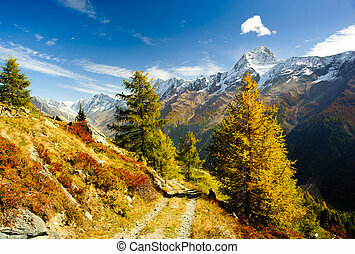 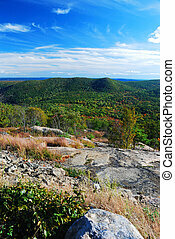 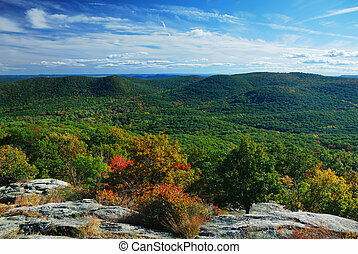 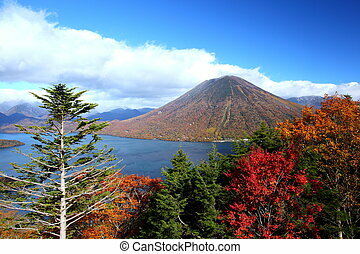 Autumn Mountain peak view panorama with colorful foliage in forest and Hudson River. 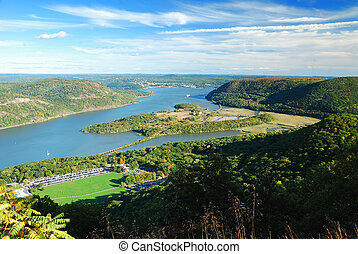 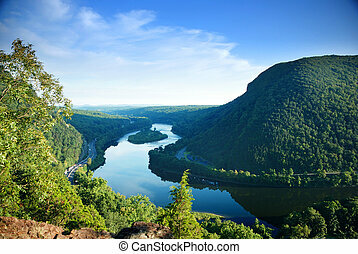 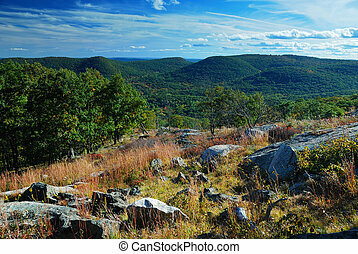 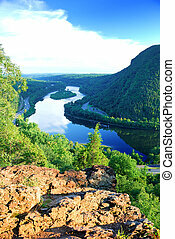 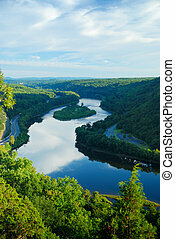 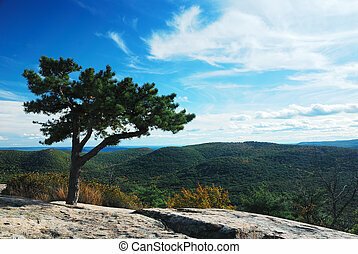 Mountain peak view with blue sky, river and trees from Delaware Water Gap, Pennsylvania. 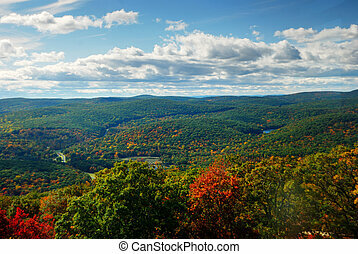 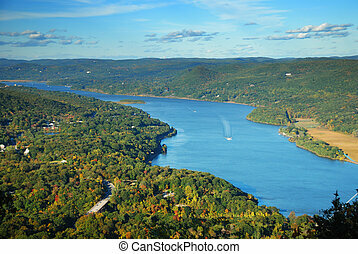 Bear Mountain Autumn panorama aerial view with colorful trees in forest, bridge over Hudson River in New York State.